Monte is responsible for real estate brokerage in Texas, agricultural lending in Hall and Hall’s southern territory, and is active in Hall and Hall auctions in Texas and surrounding states. Raised on a combination farm and ranch, Monte has a broad knowledge of agricultural operations, agribusinesses, recreational property, and investment rural real estate with a keen understanding of capital markets. Prior to joining Hall and Hall, he was a part of the Agribusiness Finance Group of MetLife and served as President and CEO of MONY Agricultural Investment Advisers, Inc. until MONY was purchased in 2004. 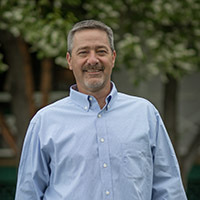 Monte holds a BS degree in Agricultural Economics with an emphasis in finance from Texas Tech University and attended graduate school at Texas A&M University. Once part of the historic Door Key Ranch, the Pecan Creek Ranch was assembled and improved from three different ownerships. To this day the property could still be operated as at least three different self-contained ranches. Each tract is well watered and strategically fenced with access from paved and gravel county roads. Good interior roads provide access within each tract. The ranch is one of the largest and most prestigious ranches in west central Texas. The property is a quintessential Texas ranch with outstanding hunting and grazing lands. Pecan Creek Ranch is one of the largest and most prestigious ranches in west central Texas. The property is a quintessential Texas ranch with outstanding hunting and grazing lands. Located approximately 18 miles from San Angelo, the area is known for it’ s livestock production. Once part of the historic Door Key Ranch, the Pecan Creek Ranch was assembled and improved from three different ownerships. To this day the property could still be operated as at least three different self-contained ranches. Each tract is well watered and strategically fenced with access from paved and gravel county roads. Good interior roads provide access within each tract. An extensive Mesquite and Cedar control program has been completed on the entire ranch, resulting in improved native grass cover. Producing oil and gas wells and unleased minerals create opportunity for additional income. A stellar working ranch with hunting and minerals in the renowned Concho Valley. Tract 1: Tract One has 1,646 ± acres adjacent to almost two miles of paved county road, and nearly a mile of gravel road. The two ponds, among other water sources, offer functionality and scenery. Tract one also has a livestock trap on the southern end making it easy to load cattle when it comes time to gather. Dirt roads run throughout providing easy access. Tract 2: Tract Two is the largest tract of the auction at 8,026 ± acres. Tract two is designed with efficiency in mind. There are six separately fenced, well watered pastures and 3 traps that all connect near the center of the tract where a nice foreman home and working facilities are located. Tract two is adjacent to three miles of paved county road and good gravel and dirt roads are spread throughout. An additional camp with electricity can be used for an additional building site. Tract two would be a great tract by itself or in combination with tract one, three, or four. Tract 3: Only eighteen miles from San Angelo, Tract Three’s 380 ± acres offer something for everyone. Tract three has a quaint home with paved county road frontage and would be a great ranch for the person just looking to get out of town. For someone interested in tract two or four, tract three would be an awesome addition with a new set of working pens including, squeeze shoot, large scale, loading chutes and holding pens that are adjacent to good roads. Tract 4: Tract four forms part of the property border on the east and west and is adjacent to four other auction tracts giving buyers multiple options within the auction. Its 7,946 ± acres are made up of five well watered, fenced pastures and two traps. Fence lines are strategically designed for easy access to all pastures. Tract four has paved county road frontage to the south and west and good dirt roads throughout. Tract 5: The focal point of Tract Five is the amazing 5,000 sq. ft. native rock lodge that sits atop a hill overlooking the ranch. It has six bedrooms and five-and-a-half baths and is a must see. Sit on your porch overlooking the well-maintained grounds and watch the trophy whitetail that wander around the 1,244 ± acres. Also alongside the lodge is a nice tenant home. Drive paved roads all the way to the lodge. Tract 6: Tract Six has 7,858 ± acres spread out over fourteen pastures. Good roads run throughout the tract and it is adjacent to paved county road in the northeast and southwest. 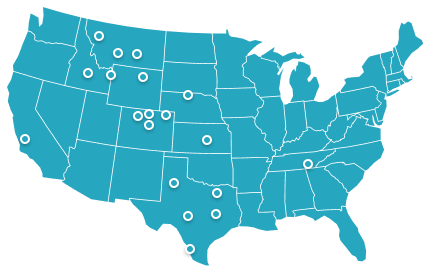 All of tract six is well watered by wells equipped with windmills, sub pumps, or solar panels with storage. For the producer it also offers loading chutes, corrals, and working facilities. There are three remodeled homes on tract six which have been a great place for hunters to stay in the past. Tract six is an amazing habitat for wildlife and has been managed by a professional wildlife habitat management company. Any overhead deer feeders will stay with the ranch. Tract Six and Tract Seven would sell nicely in combination as there is a legal easement connecting the two tracts. Tract 7: Tract Seven has thirteen pastures that total to 7,329 ± acres with plentiful water. Tract seven is not contiguous with the rest of the ranch but it still has all the amenities needed for a good ranch including, a good set of corrals with scale and working facilities and a nice home with large covered garage. Good roads run throughout the ranch providing great access throughout. Tract seven is also home to great wildlife. Tract Six and Tract Seven would sell nicely in combination as there is a legal easement connecting the two tracts. 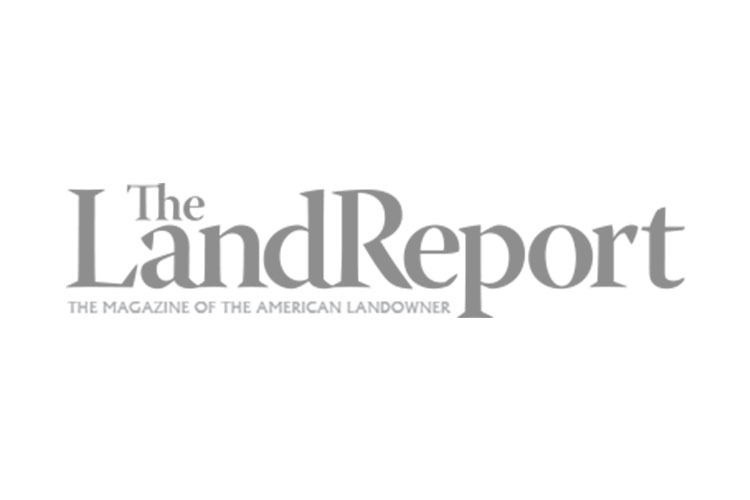 34,429± Acres offered in 7 Tracts or combinations. We invite you to meet a Hall and Hall representative on Tract five on the above information days to view the property and pick up additional information. We look forward to meeting with you to discuss any questions regarding the property or the auction process. Also, showings of the property are available by appointment. Contact Hall and Hall to schedule a showing. Directions to the Property: From San Angelo, TX travel south on Highway 277 approximately eight miles to Door Key Road. Turn east (left) onto Door Key Rd. and follow Door Key Rd. for approximately 15 miles to the driveway of the lodge. Watch for auction signs. Directions to the Auction: From Highway US-277 take the exit going south towards Bell St/Goodfellow AFB and merge onto the frontage road and turn left (south) onto Bell St. Travel south on N Bell St. for about 1 mile to Roosevelt St. Turn right (west) onto Roosevelt St. and travel for about ½ mile to Rio Concho Drive. Turn right on Rio Concho Drive and follow it. The convention center will be on your left. An attractive 5,000 sq. ft. native stone lodge with guest accommodations sits on Tract 5 atop a plateau overlooking the ranch. A new state of the art set of working/shipping pens is located on Tract 3. Several good sets of working corrals and holding pens are located on many of the other Tracts. Pecan Creek Ranch is well watered by a combination of windmills, sub pumps and solar pumps at a depth of 100’ to 225’ and numerous storage tanks. There is also a 10-acre subirrigation system on Tract 5. The ranch receives approximately 20” of precipitation annually. All water rights associated with the property will convey with the property. 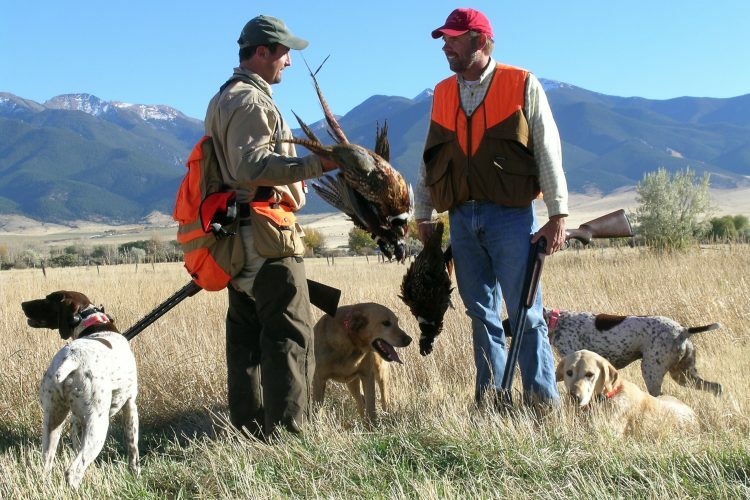 Excellent white-tail deer, turkey, dove and quail hunting among other recreational activities create a variety of lifestyle opportunities. 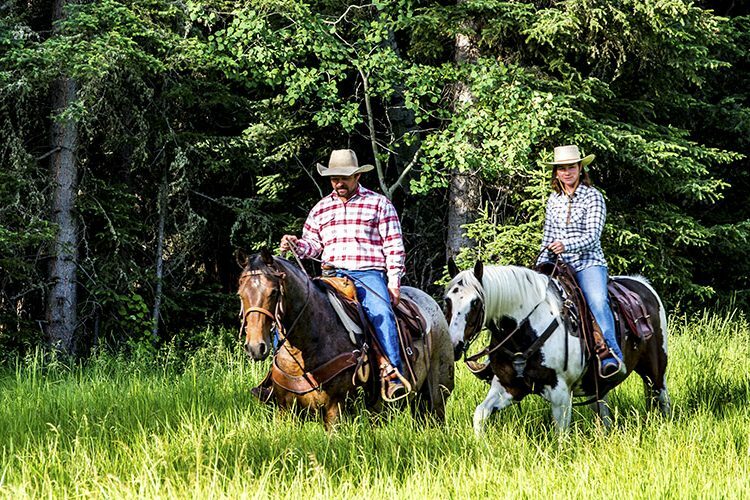 The ranch has been game managed and has historically generated significant income from hunting leases. A commission will be paid to any properly licensed broker who registers a successful Buyer according to the broker participation guidelines. Broker registration forms are available from Hall and Hall. Forms must be completed and returned no later than Thursday, November 1st at 12 pm. Procedure: The property will be offered in 7 individual tracts, any combination of tracts or as a total unit. Earnest Money: A 10% earnest money deposit of the total contract purchase price will be due immediately from all successful bidders. The earnest money may be paid in the form of personal check, business check, or cashier’s check, made to Surety Title Company’s trust account. The balance of the contract purchase price is due in cash at closing. Acceptance of Bid Prices: All tracts are to be auctioned with reserve. Acceptance or rejection of any auction bid is subject to approval by the Seller. All successful bidders will sign a sale contract/agreement to purchase at the auction site immediately following the close of bidding. Buyer(s) assume all responsibility for obtaining any necessary financing for the purchase of the property and neither Seller nor Auction Company assumes any responsibility for buyer’s inability to obtain financing. Bidding/Purchase is not contingent upon Buyer obtaining financing. Buyers Premium: A 2% Buyers premium will be added to the bid price to determine the total contract price. Closing: Closing shall take place on approximately December 11th, or as soon thereafter as applicable closing documents are completed. Possession: Possession shall be given upon closing, subject to hunting leases, if any, which expire no later than February 2013. Real Estate Taxes: The 2012 calendar year taxes payable in 2012 shall be prorated to the dated of closing. Owner shall credit Buyer(s) at closing for said taxes based on the most recent ascertainable tax figures; Buyer is responsible for all subsequent taxes. Leases: Certain tracts may be subject to hunting leases at the time of closing, which expire no later than February 2013. Sellers: JP Family Limited Partnership, Lorrie Uhl GST Trust and the Victoria Johnson GST Trust.